The United States reviewing its annual $440-million aid package to the PA because of its effort to join the ICC, says State Department. The United States said Monday it was reviewing its annual $440-million aid package to the Palestinian Authority (PA) because of its effort to join the International Criminal Court (ICC) to pursue war-crimes charges against Israel, reports The Associated Press (AP). Under American law, noted AP, any PA case against Israel at the court would trigger an immediate cutoff of U.S. financial support. Membership itself, however, doesn’t automatically incur U.S. punishment. Secretary of State John Kerry discussed the matter by telephone over the weekend with Israeli Prime Minister Binyamin Netanyahu. 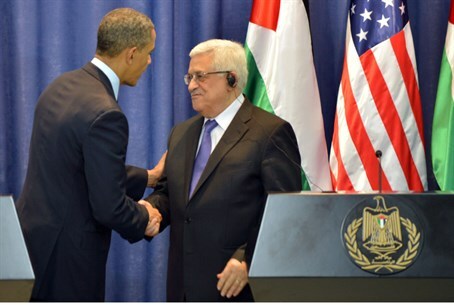 Other American officials spoke with PA Chairman Mahmoud Abbas, hoping to dissuade him from his course. The administration is reviewing its assistance to the Palestinians to ensure it complies with U.S. law, Psaki said, adding there is a range of ways for the U.S. to respond, but suggested none would happen immediately.